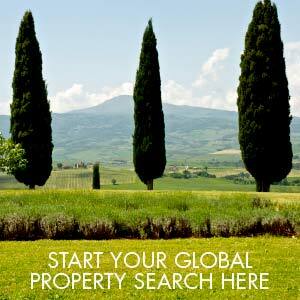 Do you want to turn your dream of owning a home in Tuscany into reality? 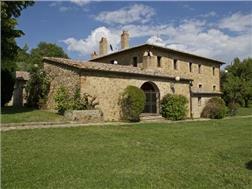 Come and see us, we have over twenty years experience selling the best homes in southern Tuscany and Umbria. Since 2001 we have represented Knight Frank in our area, this gives our vendors unrivalled exposure for their properties and for those looking to purchase the certainty of finding the best selection available. Our aim is to have the best properties in every category; quality rather than quantity is very important to us. Buying a house, particularly in another country, is a major step and not one to be taken lightly but can, and indeed should, be a pleasurable experience. We hope our clients will savour the lovely countryside and enjoy choosing their new home. We specialize in everything old and beautiful; traditional farmhouses, villas, convents, castles, cottages in hamlets, apartments in town or a ruin without a roof if you prefer. One of them is waiting for you. We offer a comprehensive, professional and friendly service. We understand the problems faced by foreigners purchasing in Italy. We can help you find your perfect home, guide you step by step in your purchase, manage any restoration project you might undertake and later look after your property for you while you are away. We know our area ‘inside out’, we chose it because, besides being uniquely rich in architecture, culture and beautiful countryside, it offered an incomparable way of life. Our area stretches from South of Siena down to Lake Bolsena and Orvieto across to Todi and up through Umbria south of Perugia across by Lake Trasimeno covering Città della Pieve and back to our base in Sarteano. Access to our area is excellent. The A1 (Chiusi exit) is five km. from Sarteano. The railway station in Chiusi just 13 km. from our office is on the main line Florence/Rome with easy connections to the airports in Florence, Rome, Pisa and Perugia. 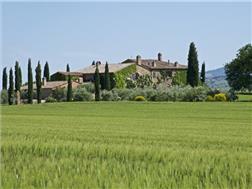 Diana Levins Moore represents Tuscany Inside Out in Italy and Knight Frank in southern Tuscany and Umbria. She is a licensed Italian Estate Agent and member of F.I.A.I.P. She knows and loves her area, living in the countryside near Sarteano for over twenty years and she will be delighted to share her knowledge and experience with you.